Beautiful 2/2 condo just a block from Historic Lahaina Town. Experience the Lahaina way of life! Walk to the Harbour, shopping and Restaurants are only minutes from your home away from home. Enjoy AC on those hot summer nights! Location, location, location! 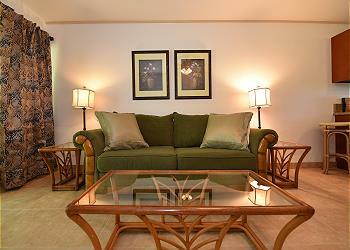 Come stay in our renovated, air-conditioned two-bedroom condo in Lahaina with terrace, beautiful plumeria gardens. Condo Sleeps 4 comfortably, includes all linens, tile floors throughout. Beautiful 2 bedroom 2 bathroom garden view condo is located in the heart of Lahaina! Within walking of many historical sites, the famous banyan tree, and extremely close to many wonderful restaurants and shopping. Puamana is a gated 30 acre ocean front community of low rise high quality attached homes nestled along the sunny south shore of historic Lahaina Town. At Puamana, you can relax away from the crowds! Just a walk to the Beach and Downtown Lahaina. This 2 bedroom 2 bathroom condo in the heart of Lahaina town is on the top floor overlooking the salt water pool. Furnished with a King in the master bedroom, 2 twins in the guest bedroom and a queen size sofa sleeper in the living room. Professionally Designed 2 bedroom and 2 bathroom villa situated on lush tropical landscaping. Beautiful garden view on ground level of the Ainanalu Resort in historic Lahaina town. Two pools on property with tropically planted gardens. This 30 acre ocean front town home community awaits you for a vacation full of relaxation and fun! 35-2 is a 2 BR with 3 full baths and in unit laundry. There is a split AC unit in each room! Come stay with us in Puamana, the best kept secret in West Maui!! This 30 acre ocean front town home community awaits you for a vacation full of relaxation and fun! Completed renovated Ocean front condo. The unit has a beautiful step in shower with large shower head to enjoy. The kitchen it fully stocked, and ready for you to cook. The living space has a flat screen TV and a sleeper sofa to allow for addition guests. Beautiful Ground Floor 2/2 condo just a block from Historic Lahaina Town. 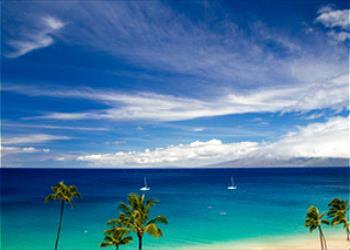 Experience the Lahaina way of life! Walk to the Harbour, shopping and Restaurants are only minutes from your home away from home. Enjoy AC on those hot summer nights!